“There was about 16 residents left behind, and we had a conversation in the kitchen, ‘What are we going to do?’ ” Rowland says. 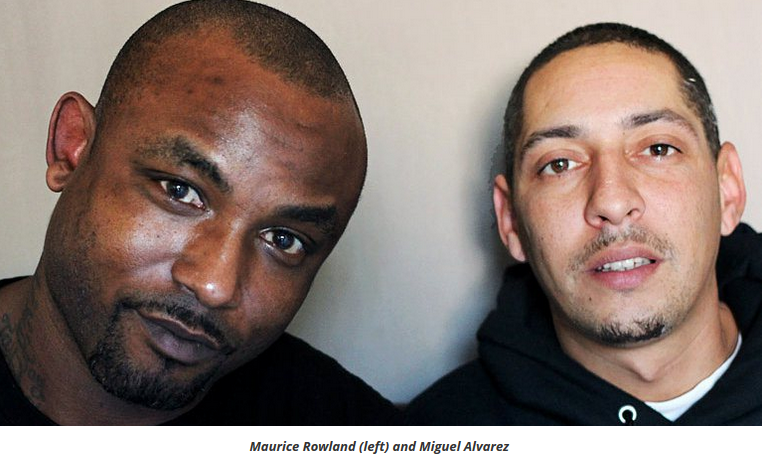 “If we left, they wouldn’t have nobody,” the 34-year-old Alvarez says. “I would only go home for one hour, take a shower, get dressed, then be there for 24-hour days,” says Alvarez. Rowland, 35, remembers passing out medications during those long days. He says he didn’t want to leave the residents — some coping with dementia — to fend for themselves. “If I would’ve left, I think that would have been on my conscience for a very long time,” says Rowland. God bless them. TY for sharing this. Not only character, but love of fellow man. TY for sharing and reminding us that there are still people who care. It’s good that some people don’t put money before conscience. Well done those two but whatever management abandoned the elderly should be taken to task. You’re right. I don’t know what happened to management. Wonderful examples of hearts of gold! Their hearts are filled to overflowing. Perfect example of humanity. Thank you! Hi Theresa! Thank you for sharing this touching story. This goes to show that a person doesn’t need to have a Ph.D or make six digits a year to be a valuable asset to the community or a valuable citizen. Had these two men abandoned these elderly people the outcome could have been something out of ‘American Horror Story’. So true, and you’re welcome. Those men blessed those elderly people. I hope wherever they are, others today are blessing them. I believe each of us who reads this, does so.